B&B CHARME et IMPRESSIONNISME is an association of guesthouses created for the Normandy Impressionist Festival of 2013. United around the main thematic of water and impressionist art, we are committed to providing lodging of high quality within a communal charter, and to facilitating your stay by offering our services, recommendations and assistance. 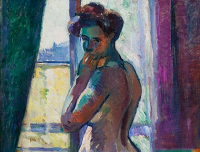 The Musée des Impressionnismes in Giverny reveals the colorful world of Henri Manguin, described by Apollinaire as a "voluptuous painter". Since his first impressionist experiences, Manguin has distinguished himself by his audacity and his inventiveness and became the forerunner of Fauvism. With a set of ninety paintings, the exhibition will be an opportunity to retrace the career and life of an artist who has marked a whole pictorial movement. Click on the picture to stop and start the slider. For a 2 nights stay booked directly, we offer your entries to the Musée des Impressionismes in GIVERNY. 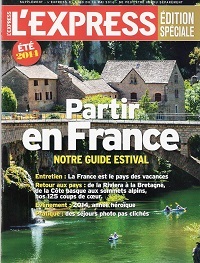 L'EXPRESS The French news magazine L'EXPRESS on May 14th was published with an extra edition "Partir en France" in which our association is mentioned (page 16). Our region offers many unheard of cultural attractions to tourists. We are here in order to help you discover them and to make your stay as enthusiastic as possible. Making the most of a privileged environment by the water, not far from Giverny, on the Road of the Impressionists, we offer our guests comfort, relaxation and conviviality. It is possible for us to organize more “dynamic” activities: canoeing down rivers, cultural cruises on the Seine, picturesque plane flights above the Seine and Eure valleys. Additionally, we can organize conferences or theme nights on photography and art, for example. We will guide you on the Road of the Impressionists.